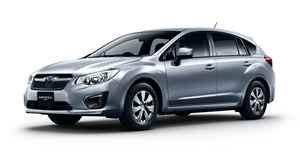 Subaru Impreza and Subaru XV Each Wins "Good Design Award 2012"
October 1, 2012, Tokyo - Fuji Heavy Industries Ltd., the maker of Subaru automobiles, today announced that the Subaru Impreza G4 (4-door Sedan) / Sport (5-door) series and newly-introduced Subaru XV have each won the "Good Design Award 2012" from the Japan Industrial Design Promotion (JDP). "The fourth generation of the Impreza, which made its debut in 1992, offers solid, stylish and universally-appealing exterior design and roomier cabin space realized by the extended wheelbase and significantly moved-forward A-pillar. The model's product appeal is enhanced with the combination of attractive design and Subaru's renowned technological advantages that include improved fuel efficiency with the new generation Boxer engine, body weight reduction with the adoption of a newly-designed platform and enhanced crash safety technologies." "The car clearly expresses "Fun to Drive", an integral part of automobiles' essential value, in its attractive, straightforward design. It boasts a new type of crossover design with larger, unique tires and wheels highlighting a good balance with the body's sharp, stable looks, which gives this new model distinctive product appeal. 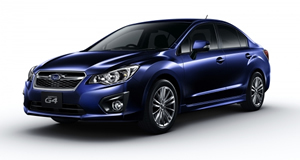 It's an excellent design that showcases Subaru brand's characteristics." The Subaru XV is also nominated for the Good Design Special Awards among the top 100 candidates. The model will be on display at the Good Design Exhibition scheduled to be held from November 23 through 25 at Tokyo Big Site in Ariake, Tokyo.